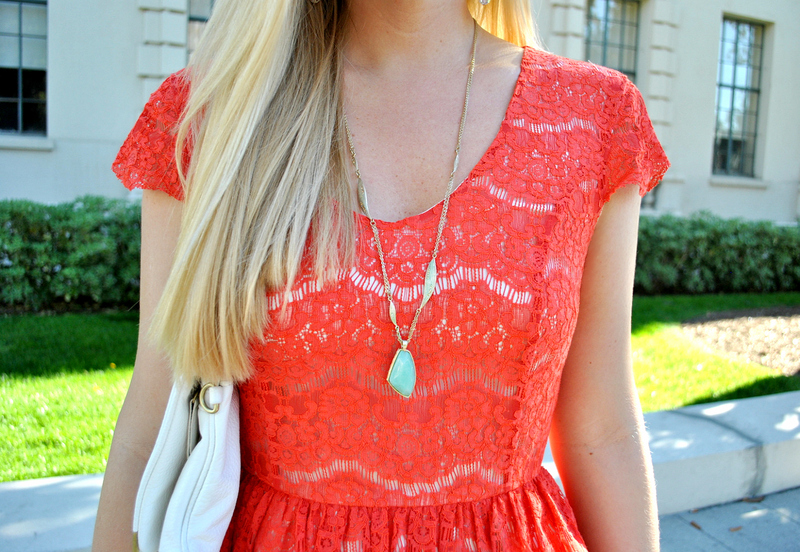 I'm completely addicted to bright colored lace this spring. 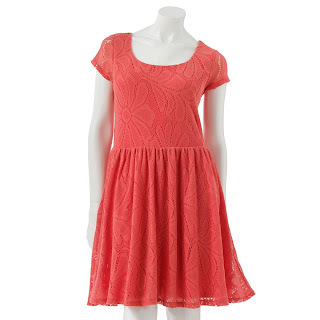 Below are some of the lace dresses that I've been dying to add to my wardrobe. 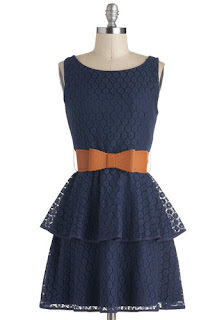 Click the picture to shop you favorite dress! For more ladylike lace inspiration be sure to check out my latest style column on LaurenConrad.com! Wowwwww I love your dress!!! Today in my blog Electric color. I hope your visit me. Kiss from Andalucía!!! Gorgeous dress and bag! You always look so girly! I've already got a black lace dress and a navy lace one, but I definitely need to add another colour to my lace collection. Loving the orange one! Gorgeous! Love the lace and polka dots together!! 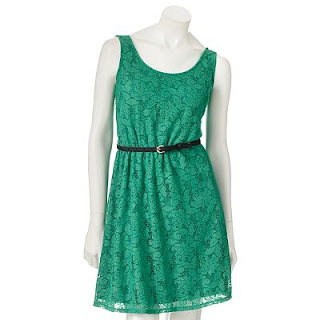 I really love lace dresses because they tend to be heavier than regular spring dresses so they're great for right now! I really love the red! Great outfit and fab post - i feel like spring has now arrived. That dress is amazing , love love love! 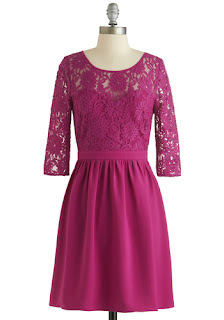 Nothing better than a little lace dress...LOVE! Love the dress and blazer! I love the color combination. The jacket and dress are both fantastic! I'm kind of in love with colored lace too. Beautiful dress. I love the color and the style on you and the way you added the trench coat. If you get a sec, please check out my latest post 'Luxurious Snake Print'. I think you would like it a lot. Thanks in advance. Love the colored lace & dotted trench combo ! Loving that ring and necklace, very pretty!! I love the color of your lace dress, it's so pretty! And totally adore that polka dot jacket! Such a fun color and texture mix! You look absolutely adorable and feminine! Love this look Anna! That dress is so pretty. Love the blazer with it too. Love that dress!! Such a cute look! What a beautiful dress, Anna. I love that you thought to pair it with a bold print such as the polka dots! you look gorgeous anna! 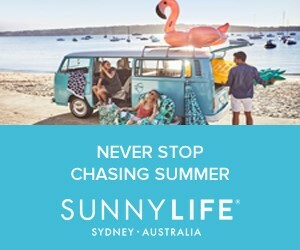 Can you please visit dailyfashionista.com and let me know what you think of my latest column?! We are actually giving away a designer handbag!! Loved all your lace looks on Lauren Conrad! And all your picks are bright lace perfection! Your dress is adorable. My family and I wore navy and orange for Easter. We always pick a color scheme. I wore this exact dress! It was so comfortable and classy! I received lots of compliments! Love the dress with the polka dot jacket. FAbulous. Don't forget to link up tomorrow. Show me your favorite spring trend. HOpe you can join. 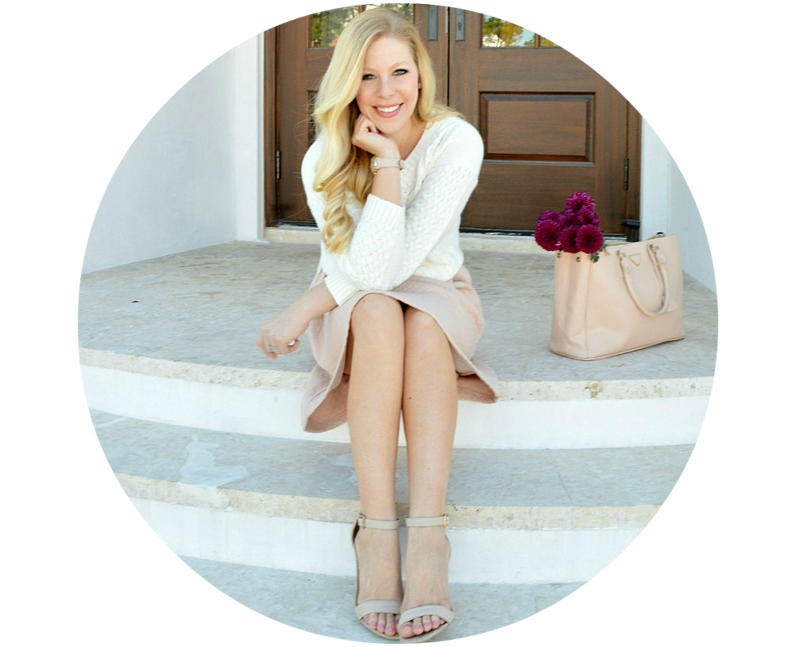 I'm also doing a giveaway for a $300 gift card to gap/old navy/banana republic. Come by and enter. Oh my goodness, this is cute! The colors remind me of a perfect Forth of July outfit. Beautiful dress!! It's so pretty! the dress is adorable but that jacket needs to be in my closet now! Love it!!! 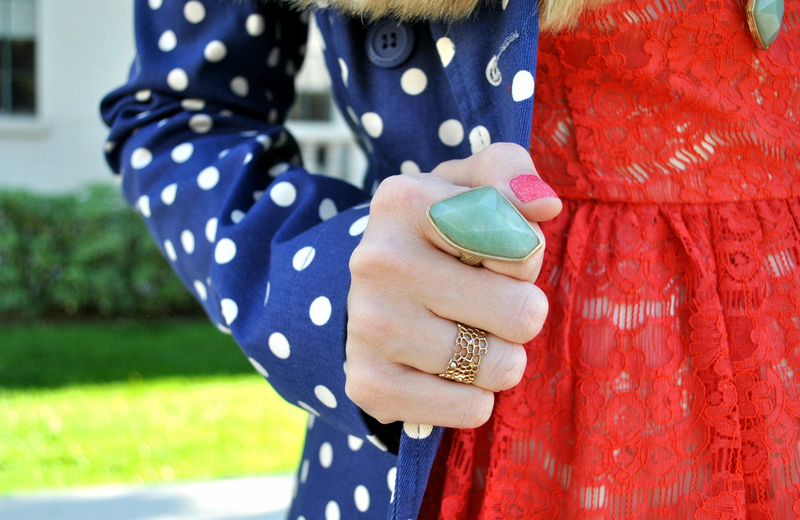 I love the red with the blue and white polka dotted jacket! So prefect for Spring! I love that lace dress and it looks so cute paired with the polka dots! These dresses are fab and so are you. I can't think you enough for stopping by my blog last week because it allowed me to discover yours. Your story is so incredibly inspiring. 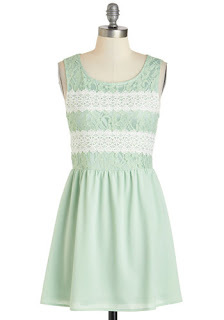 I am also loving lace this spring! Lace shirt, short & dresses... you can't go wrong!! You look stunning, and that is a gorgeous dress. Love the jacket as well. Ooh that blazer is great!! Love it! Great color contrast and the mix of patterns/textures. Love it! too cute Anna! love your style. Such a pretty dress ! You look amazing ! Really love those strappy heels! wow! that polka dot jacket/blazer is gorgeous! I love your dress and everything you posted. I am basically in love with lace anything. 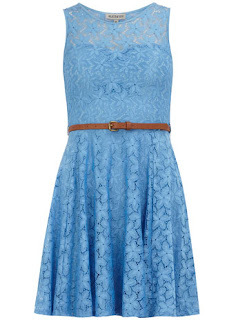 I absolutely need that blue lace dress you posted in my life. LOVE this combo! You nailed it! Gorg gorg! You're a doll. Love. This jacket is to die for and you look so ready for spring! Such a gorgeous dress paired with the pot jacket. Love it. The color combinations with this is just great. Love the mix of these pieces!